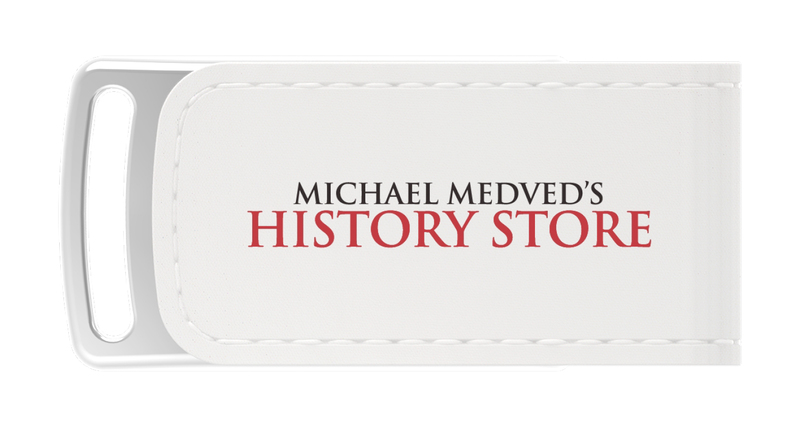 If you enjoy Michael Medved's history presentations but don't like keeping track of a multitude of CDs, the Medved History Store's complete library is now available on one 4GB USB Flash Drive. Now you can have hundreds of years of history in the palm of your hand. September 11, 2001 ~ "Terrorists Attack New York and Washington, DC"
Click the button below to add the The Complete Medved History Store Library (USB Flash Drive) to your wish list.